This was an interesting collection of stories. I was originally provided with a copy of this to beta read, but I really fell short of the mark there due to some things in my personal life. 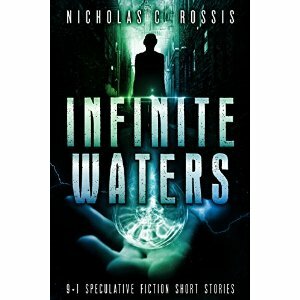 Nevertheless, I enjoyed the last collection of short stories I read by this author (The Power of Six) and finally found some time to hunker down with Infinite Waters. The actual story, Infinite Waters, runs throughout the book and is the glue that binds together the collection of short stories into a somewhat larger story. I enjoyed the stories in this collection and found it to be a good read that I could put down and pick back up while I was busy. The stories aren’t very long, but I really enjoyed several of them. I also liked the way the author tied them together. I’ve seen this done in other short story collections and I think it makes the stories more cohesive.